For the least frustration and most efficiency on your Mac, install these handy extras. 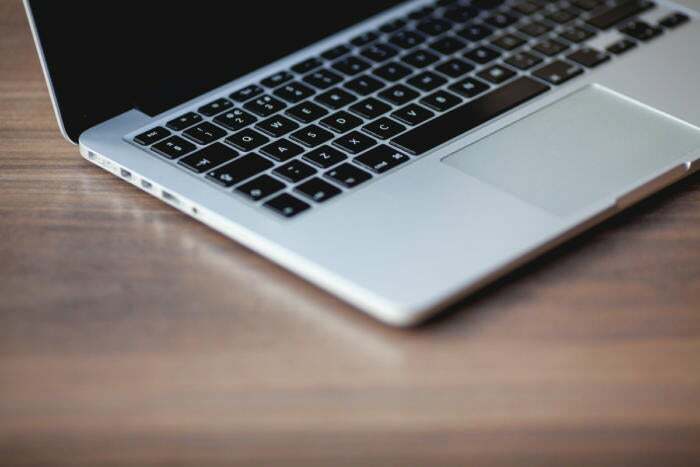 As Apple has tweaked and improved its Mac operating system, the need for third-party utilities just shifted—it never went away. A lot of the fiddly missing stuff we used to need an app for is built in, but Apple aims for the simplest experience for the most people, which leaves more advanced users or those that want a choice of how they carry out a task looking for alternatives. However, I like to think of these utilities as having a return on investment, as I believe my time (as well as yours) has value. Some apps estimate how much time you saved, and others reduce clutter and frustration, which can make you work more efficiently. In some cases, you have to purchase a tool, because there’s no alternative. I’m confident I’ve saved hundreds of hours over a decade across in sub-second and multi-second increments. I can’t remember how long I’ve been using Default Folder ($35), because it’s been a constant companion since I first discovered it years ago. 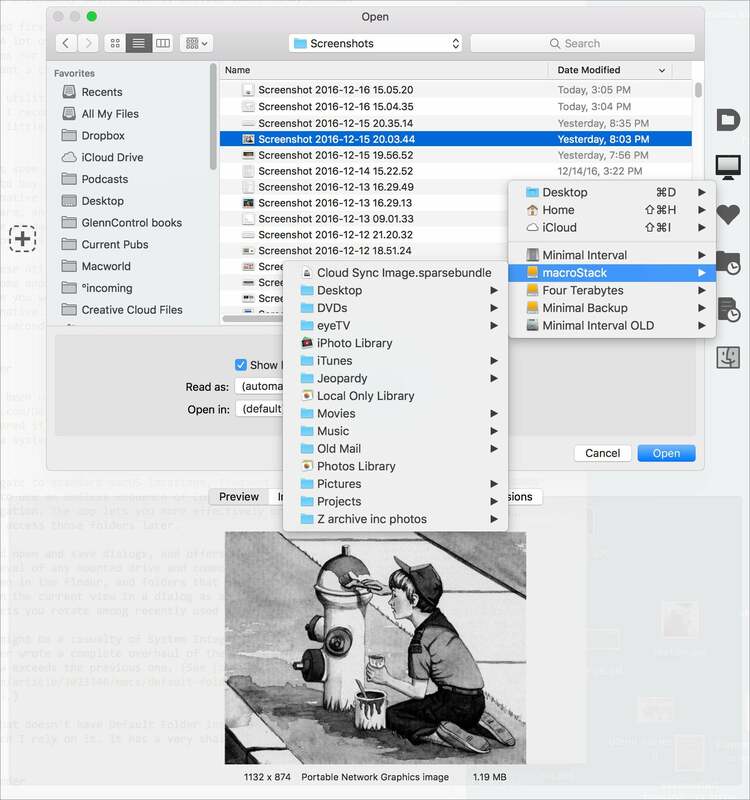 Default Folder enhances every open and save dialog in macOS, as well as offering a system menubar item and options to add navigation in Finder windows. Default Folder adds super-intelligence to navigation windows. You use Default Folder to navigate to standard macOS locations, frequently used directories, and recent folders without having to use an endless sequence of Command plus Up and Down arrows, Spotlight, or folder menu navigation. The app lets you more effectively organize items in folders, because you can so efficiently access those folders later. The utility wraps itself around open and save dialogs, and offers buttons with drop-down menus. You can click and access the top level of any mounted drive and common Home folder areas, favorites that you’ve set, any window open in the Finder, and folders that you’ve recently opened items from or saved items to. Want to open the current view in a dialog as a Finder window? Press one keystroke. Another keystroke lets you rotate among recently used folders. Whenever I have to use a Mac that doesn’t have Default Folder installed, I’m reminded of how frequently I use it and how much I rely on it. It has a very shallow learning curve. Computers are meant to reduce tedious repetition, and yet we often find ourselves acting like a computer in our work. 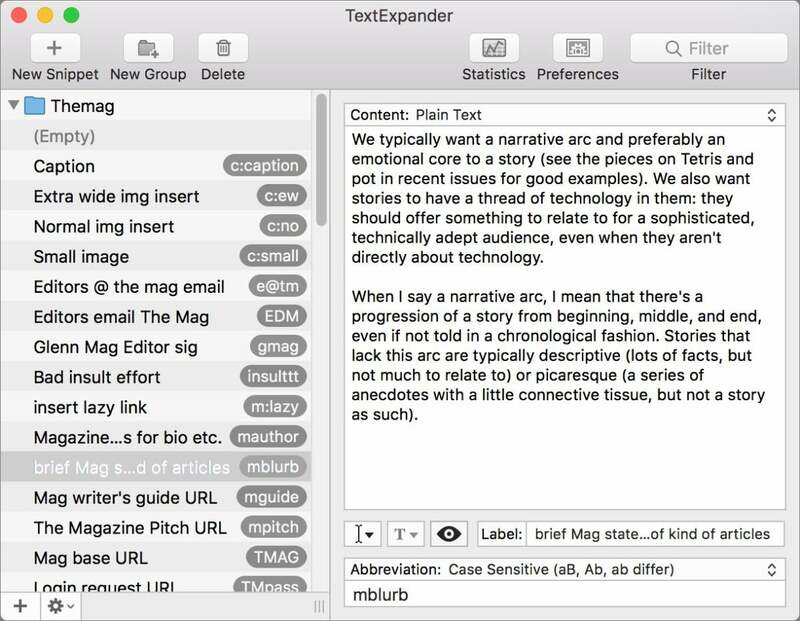 TextExpander is a text-expansion utility, letting you type a few keystrokes and have them “expanded” to be something else. It turns the computer back into a repetition-avoiding machine. I can type two or three characters, and TextExpander drops in my email address, phone number, or mailing address. With wildcards and placeholders, you can also have TextExpander type out the current date and time, or use the clipboard’s contents alongside other manipulations, including a few keystrokes (like Tab and Escape) and cursor movements. It also allows you to create forms with pop-up options for standard replies. With TextExpander, you let a computer handle the repetitive typing tasks. TextExpander supports AppleScript and other system scripting integration, and includes a few scripts for things like turning the current contents of the clipboard into a bit.ly shortened URL. One of the app’s gimmicks is tracking estimated time saved. It’s apparently bought me 10 hours of my life back between July and December of this year. TextExpander had a kerfuffle this year when its maker switched from flat-rate pricing for version 5 to subscription pricing for version 6 (including software updates, cloud sync, and snippet sharing). We have reviews of both version 5 and version 6. You can still purchase the fully featured version 5, compatible with macOS Sierra, for a flat $45 or subscribe to version 6 for $4.16 a month or $40 a year ($3.33 a month). While I’m a long-time TextExpander user, some people prefer Keyboard Maestro ($36), which has text-expansion features like TextExpander, but also can directly manipulate the mouse and menus in macro sequences and has clipboard-history management. In these days of constant password breaches at major and minor websites, having unique strong passwords is a must. 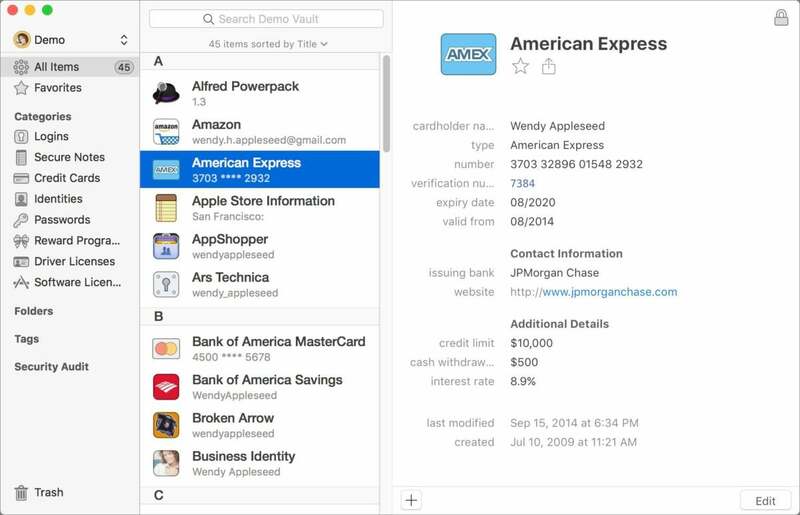 1Password not only stores passwords, but creates them, and through browser plug-ins can create and drop them into a form and store them in just a few fluent clicks. 1Password lets you generate unique passwords within a browser, fill in credit cards, and manage it all with aplomb. I like that its creator, AgileBits, added a few months ago the ability to generate multi-word passwords. These are easier to remember and to type, and as long as they are sufficiently random and long enough, just as resistent to brute force as the most ridiculous looking password with an unnecessary mix of letters, numbers, punctuation, and Egyptian hieroglyphics. 1Password added subscription-based options this year that include continuous updates and a family version that allows secure sharing of passwords. It’s $36 a year for a single user or $60 a year for up to five users in a family. This price includes free use of clients in macOS, Windows, Android, and iOS. The standalone 1Password for macOS is $65; the complementary iOS version is free for everyone, but some not-critical Pro features cost $10 to unlock unless you’re subscriber, in which case they’re part of the subscription. LastPass is a widely used alternative to 1Password, although LastPass stores passwords centrally. It’s been hacked once, but the care with which they secured their database rendered that theft essentially useless to the attackers. That resiliency is a plus. I prefer, however, using 1Password either on storage I control or with AgileBits’ partitioned cryptographic approach, which stores your data centrally in a way that the company never directly handles your password. LastPass’ key advantage? The standard version is free across platforms; it’s $1 a month for a premium flavor that includes family sharing and priority tech support. My system menubar is a mess! I’ve tried scrubbing, I’ve tried washing, and nothing works! Bartender ($15), take me away! Declutter an unusable system menubar with Bartender. Bartender 2 brings a delightful and simple management approach. With this app, you can choose to leave a menubar item alone, hide it entirely, or drop it into a secondary dropdown Bartender menu. Even if you’re hiding the item, you can set Bartender to show it whenever the icon displays activity. The app was another one that people worried El Capitan’s SIP would render impossible to update, but the developer thoroughly revised it to work in the new model, and released a Sierra update in a timely fashion, too. I have many, many apps installed on my Mac, and my preferred way to launch them isn’t by invoking Spotlight and typing part of the name and selecting a result, or using Mission Control or the Applications folder. LaunchBar ($29) makes quick work: tap a keyboard command to bring it up and then type a few characters or use arrow keys to select from a set of options. 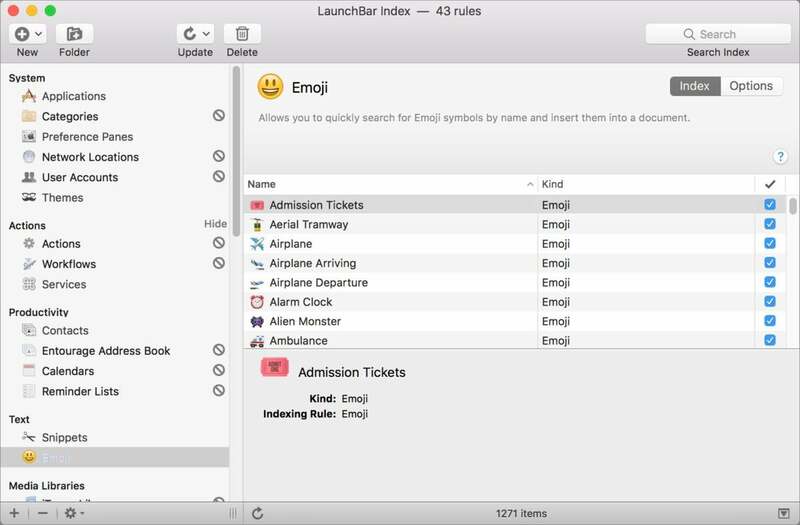 LaunchBar can open apps, find files, perform calculations, play music, and much more. Add your document folders and enable some indexing rules that are turned off at installation, and you can pull up files in those locations by name, too, or see a list that matches however much of a name you want to type. For all that it’s a Swiss Army knife, you can turn off or leave disabled many features. Some people dive deeply into LaunchBar and use it constantly; others, like me, rely on it for a handful of very common uses. It has a statistics window like TextExpander, and reports I’ve saved just over two hours in the last two and a half years. That’s too modest of the developers, though, because I can launch an app in LaunchBar in well under a second; it takes seconds to find and launch an app through any other built-in means. Several launcher alternatives have their adherents; we published a roundup of several in early 2015, including one that’s free. The long-running DragThing app also has its staunch users and defenders, but it hasn’t had an overhaul in some time, and its developer hasn’t announced plans beyond the current compatibility updates and bug fixes that keep it working.